It seems we've been hit with the 'I Quit Sugar' craze that is proving as popular as The Paleo Diet and raw living food. Move over chia seeds, you've had your day in the spotlight (just kidding, I still love you, chia!). Ever woken up and thought to yourself, 'I want something fresh for breakfast, not too sweet.' ? 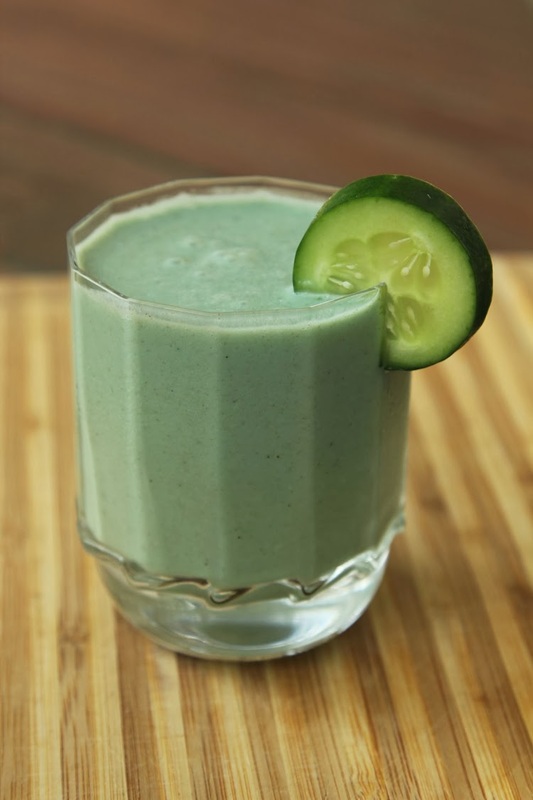 I had one such morning on Tuesday and this cucumber, green capsicum and banana smoothie was the answer. Stand by to have your preconceptions about smoothies blown out of the blender! Think cool, fresh, and green and you're almost there. 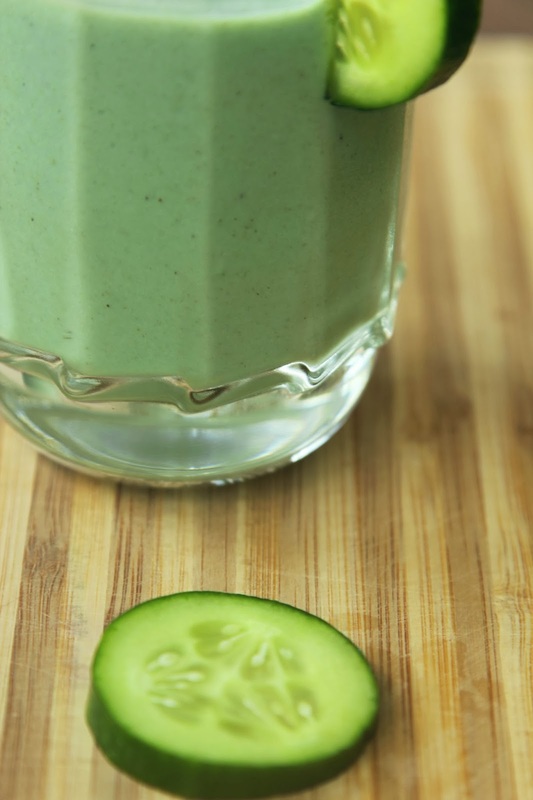 This smoothie will give you the energy to take the beach steps, two at a time. If you are starting out on the I Quit Sugar diet, it is recommended that you exclude high fructose fruit, such as bananas. I've never gone on a fad diet however, I do prepare gluten-free meals to cater for my gluten intolerance- That's not a 'fad diet' choice, it's a necessity. I try to nourish my body with healthy food and firmly believe that what I eat should be a lifestyle choice, not a 12 week plan or a two week detox. Instead I am mindful of what I eat and make an effort to eat fresh, unprocessed and organic foods, substituting in raw foods here and there. Byron and I exercise several times per week, Coco (our little dog) is the best motivator around for encouraging long runs along the beach. I also happen to live in a region famous for local, organic bananas and as such, I have decided to keep bananas in my meal rotation because they taste so good! 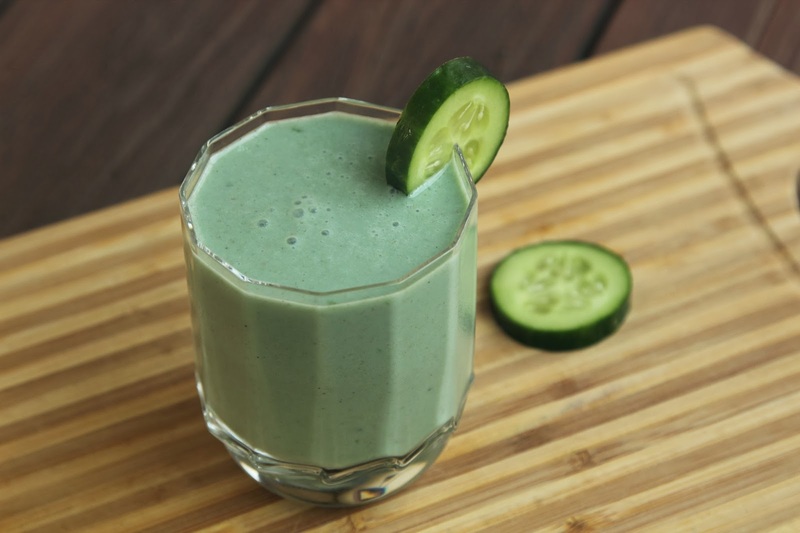 Blend until smooth in a high power blender, for a thicker smoothie add 1 to 2 tablespoons of unsweetened natural or Greek yoghurt. You can always opt to exchange the banana for an avocado in this recipe. Doing this will lose some of the natural sugar found in the banana. To sweeten, blend a date, two drops of stevia or some agave nectar to taste. Serve with a slice of fresh cucumber to garnish. 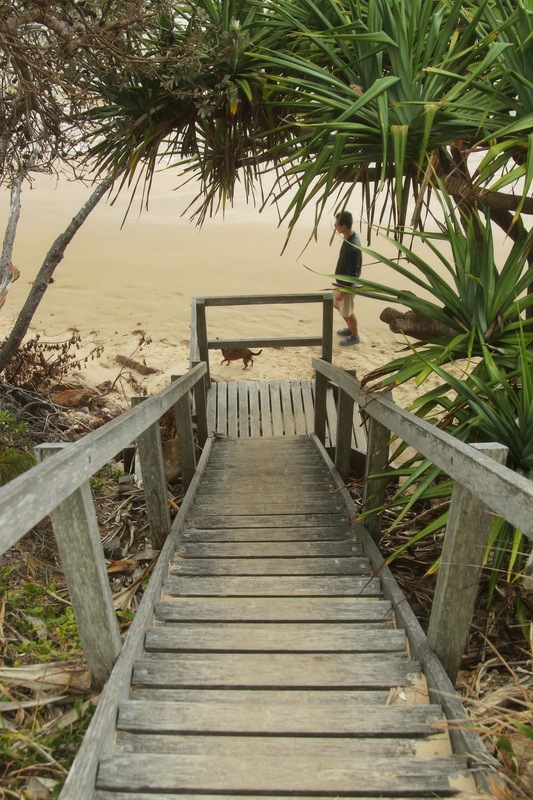 Enjoy before a relaxing beach walk. Take the stairs. The fresh flavour of this smoothie lies in the ingredients. 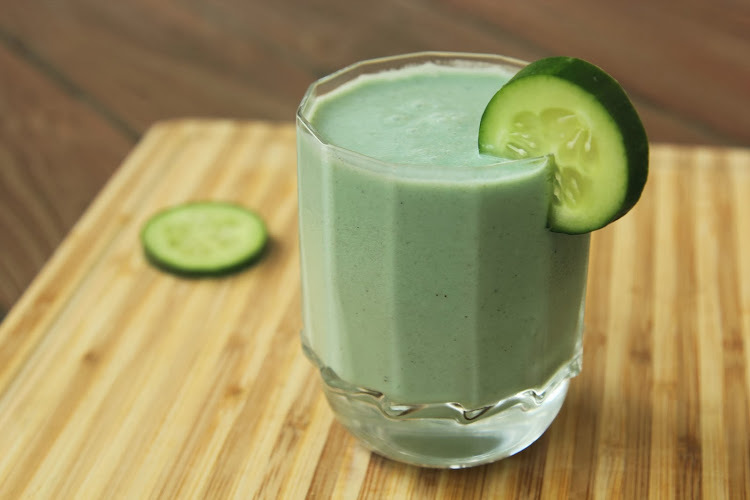 It has almost a savoury quality due to the addition of cucumber and capsicum and from a culinary standpoint, it might seem a little strange for a smoothie to be both sweet and savoury but I urge you to try it anyway. It's delicious!